Regional journalists are being urged to enter awards which aim to celebrate the reporting of human rights issues. 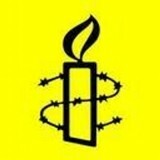 The Amnesty International Media Awards 2019 are now open for entries, with a specific Regional Media prize up for grabs. Other categories on offer include News, Investigation, Features, Photojournalism and Student Journalist. The closing date for entries is Friday 25 January 2019. The free-to-enter award is open to print, online or broadcast entries from UK regional media outlets. Entries must be from a media outlet based in the UK and published or broadcast for the first time in the UK between 1 January and 31 December 2018. An award ceremony will be held on Wednesday 3 April 2019 at BAFTA Piccadilly, in London. For more information, click here.